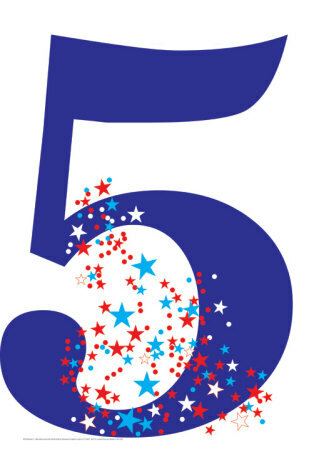 Today my blog turns 5 years old. A day under a month to my 26th Birthday – yes I am probably going to mention it a whole bunch more times between now and then just so that you can’t forget or pretend you didn’t know. It’s had it’s ups and it’s downs. There’s been posts where I’ve been scared by the number of views. There have been posts where I’ve wondered if anyone is actually out there and listening/reading. I’ve shared events in my life like when my Grandma passed away and when my cousin got married. I might have even shared my own wedding (actually it seems I didn’t – but I did post on our First Anniversary). And most recently how we gained Our Sidekick and Two Guinea Pigs. I think I’ve questioned why I write and wondered if I’m doing it right or if I’m wasting my time. I’ve gone through different platforms and different themes – thanks to Chris I’ve settled on my latest design (at least for now!). I’ve taken part in different series and themed posts including Travel Thursday, The Friday Read and 100 Word Challenge for Grown Ups. Through blog writing I’ve made friends and acquaintances. I’ve got to know people like Becca, Lacy, Kaleigh, Danielle and Koree who I would have never met had it not been for a combination between my blog and their blogs (go read they are fab!). Through blogs I’ve shared in big life events like when Becca’s daughter was born, when Amy delivered her third child (a little girl too!) and when Koree went to college. Not only have I connected with people in other countries I’ve got to know people here in the UK too. I’ve got to know Becca – technically this was via Twitter first but I think our blogs were an extension of that. It’s crazy to think that in a world this big I’d get to know Ruby who lives in Australia and her hubby Branden (he moved from the US to Australia to be with her – now that’s love!). I thought about how to celebrate this event – in the past I hosted a giveaway and had about 5 entrants – so maybe I’m not in the right place to do that again (just yet). I thought about offering a service like a blog design or something like that but it’s not really one of my talents so maybe it’s the wrong idea. Somewhere along the line I decided that a series of guest posts was something that I could curate. This kicked off with Rickie on Monday talking about living live to the max, I’ve got two more to come (And a few more if I get volunteers – if you want to write let me know – I’d love to have you). This entry was posted in Celebrations, Friends and Family and tagged Birthday. Oh, Han! Happy blog birthday! I love that we’ve been able to connect through our blogs, email, facebook, instagram (and even draw something!) It’s been fun getting to know you through this blog. Happy birthday to your blog, and really well done on the grand opening of the fountain on Saturday.